Conservative option trade alerts with a 91% win rate. Simply buy a stock, sell a call, collect premium (and dividend when applicable) then let it expire. You can do covered calls on stocks you already own too. InvestorsObserver analysts target annualized returns of 15% – 20%. 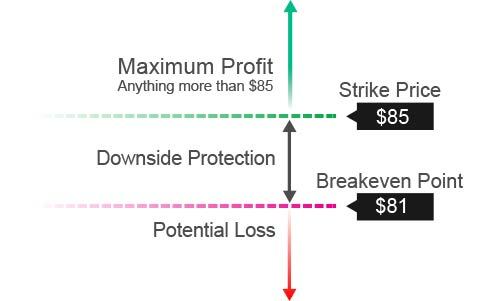 Each trade has built in downside protection. 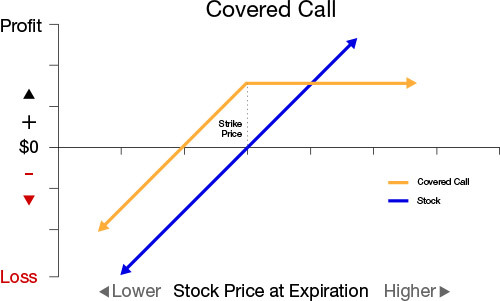 Ideally, calls are in the money at expiration. The sold calls are assigned, you deliver the stock and earn the full profit. If the stock pays a dividend, you also collect those payments while the position is open. Through June 2018 the Covered Calls Portfolio has an annualized return of 12.76%. 52 out of 57 trades were winners for a 91.23% win rate. To see the trade history of the Covered Calls portfolio, feel free to visit the Closed Trade page.